I ran across an article regarding a Columbian shield (The E-Sylum: Volume 15, Number 36, August 26, 2012, Article 10). I have one hanging by my front door. It was created by my great great grandfather Frederick Mayer, a noted Pittsburgh artist and sculptor. The shield was indeed sold by Heeren Brothers of Pittsburgh. 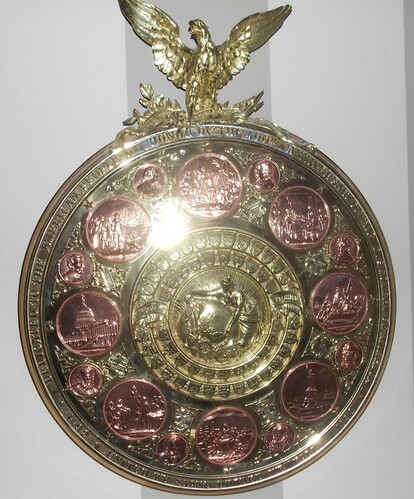 The shield was cast by Mayer's brothers who had a foundry in Stuttgart Germany. I know of one other located in Fairbanks Alaska.